Global Talent’s extensive talent pools and people networks can find employers getting the right people for the job, and resources can be from overseas as well as from your homeland. Talents with business acumen and technical skills from IT, banking, finance, insurance, telecommunication & consulting are available for taking your company into a new level. To be successfully in today’s dynamic business world, a flexible people resources planning is needed to cope with the ever-changing business needs and opportunities. We enable our customers to overcome this challenge by providing secondment services, that is, we second our employees to work at customer’s sites under their direct management. From small start-ups to large corporations, most human resources managers are occupied by day to day routine transactional HR activities. As a HR outsourcing partner, we provide services to help you dig out of day to day routine activities so that you can focus on strategic planning for your employees. We offer comprehensive service package for Working Visa / Work Permit package on immigration-related affairs. Our professional consultants have the expertise with over a decade's experiences with the Immigraiton department and we are proud of our superb track record of successful applications. Global Talentcan set you free from the tedious and never-ending chores of human resources functions like payroll calculations, overtime claims, pay slips preparation etc. Simply outsource your HR functions to us then you can rest assured and make the best out of your precious time in core business development. Our professional teams comprise of highly experienced HR personnel who are always at your service. At Global Talent, you will be pleased by our customer-oriented services at a modest service charge. 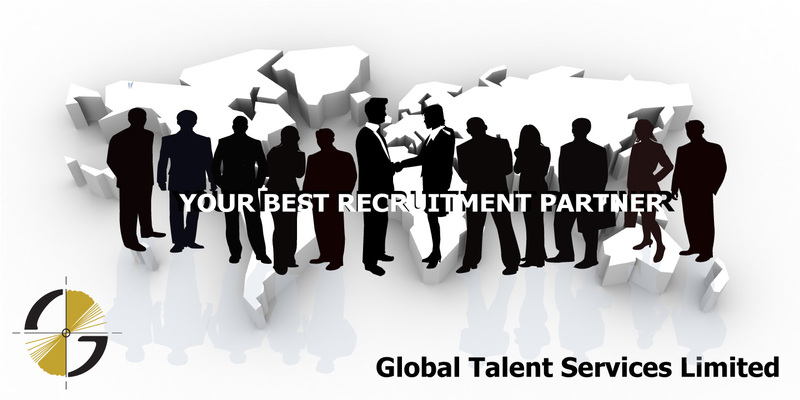 At Global Talent, we have connections to over 200 large enterprises in Greater China region and CXO relationships with most of the industry leaders. We are always well informed of the jobs in the market. We will bring you exciting job opportunities with a variety of roles that matches your experiences and interests. We can also provide you with skill trainings and personal development which can grow your career to the next level. Copyright 2014 Global Talent Services Limited.